Learning how to change a tire. Picking up Abby from her class trip to Camp Kern. I loved this quiet, woodsy road through the campground. And we managed to squeeze in a little trip to the mall - imagine that! Such a busy day. Sitting on the bleachers for fifth grade field day. And next up was Caleb on the trumpet for his 6th grade band performance. 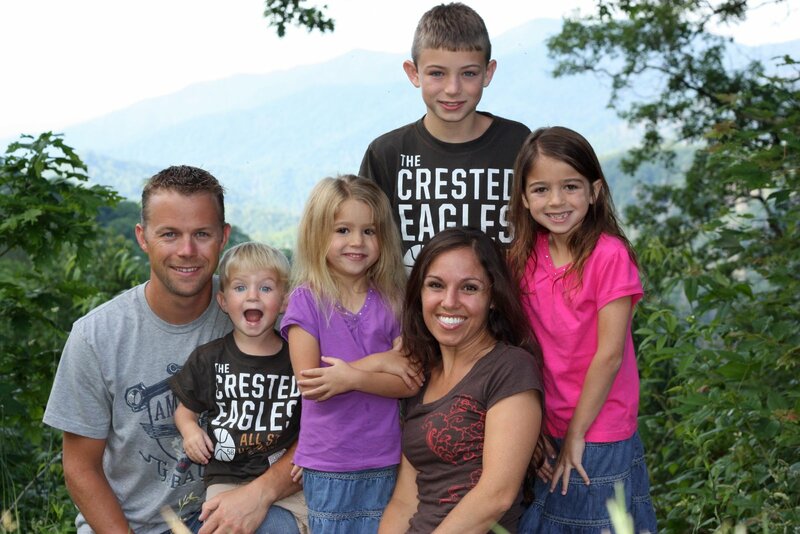 And a quick pic of them together although Caleb was already untucked. They begged me to take this picture - can't you tell!? 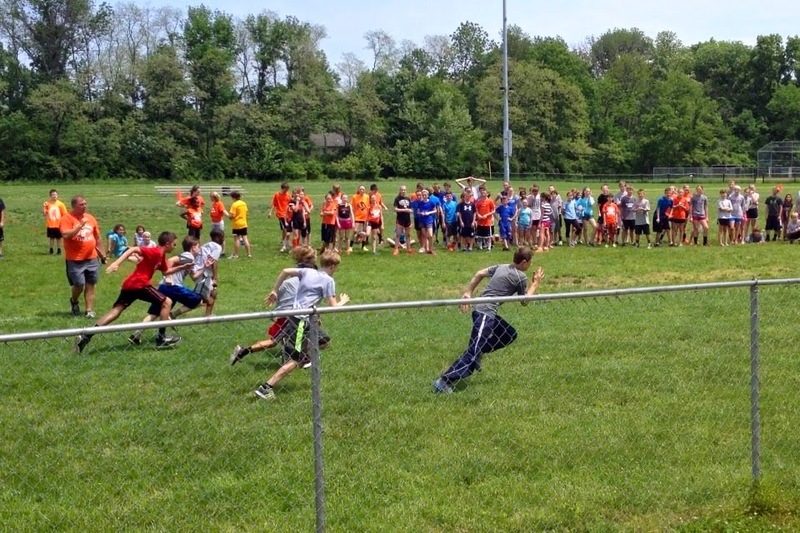 Caleb running (and winning) the 50 yard dash! We really, really want to play! Helping out at Caleb's icecream sundae bar. Toppings much? A sleep over and an attempt at the classic jump pose. Memorial Day. Sleeping in and 'egg in the hole' for breakfast. 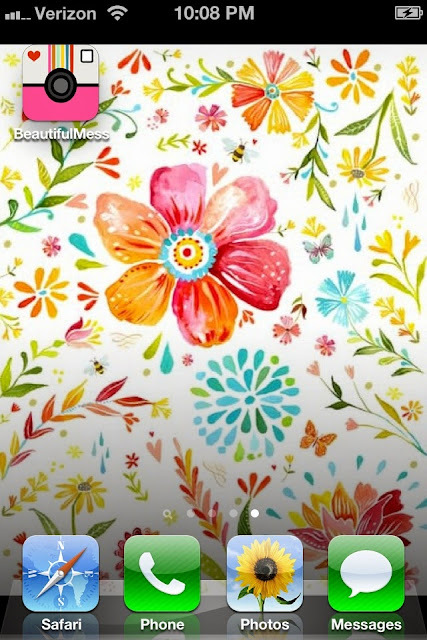 New screen saver and my new favorite app. It's Skyline time. So good to see Robbie when he was in town for a few hours this week. Miss him so much! We have the most beautiful nursery a few miles from our home. I took the girls there yesterday to pick out some plants to start our vegetable garden. Of course we had to take a walk through their flower house too. strawberry patch had just opened! walked across the field to the strawberry patch. 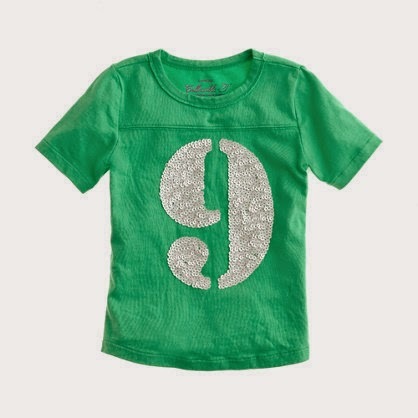 I saw this sequin tee on J.Crew's website a while back, but I skipped the $40 price tag and thought it would make a great DIY project for Ella's 9th birthday. Step 1. Find a cute tee on clearance. Step 3. Search your closet for those sequin shorts that were on a extra 50% off markdown when you thought of this project months ago. Step 5. Cut sequin fabric along stencil line. Step 6. Squirt fabric glue onto sequin fabric. Step 7. Wait patiently for it to dry. Step 8. Admire how cute your little girl looks in her "9" tee, and blush when she comes home from school and exclaims she told everyone at school her mom made her tee, and smile when she asks if you can wash it real quick so she can wear it again tomorrow!